The year of the pig is upon us as we draw ever closer to Chinese New Year. This means it’s time to be even more gluttonous, and there’s no better way to satisfy your stomach than by feasting on all sorts of delicious Chinese delicacies. Chinatown is far from being the only place to find such good grub, either. 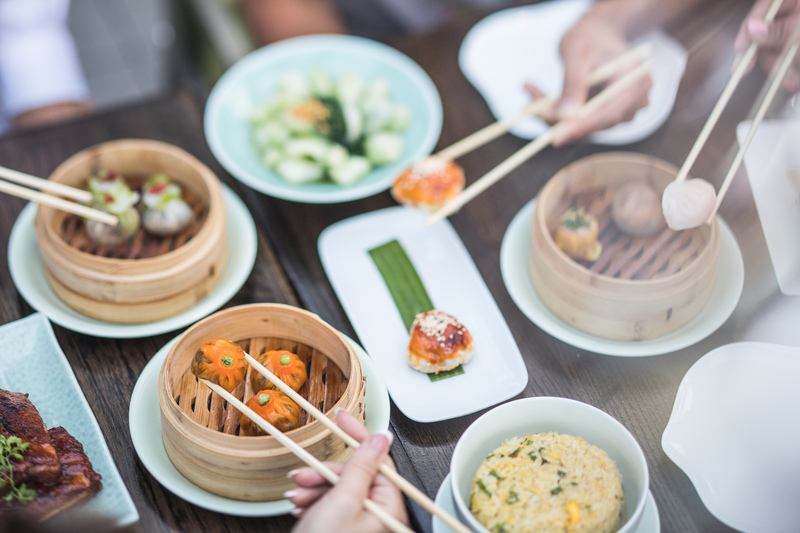 The Square Mile is teaming with top notch Chinese restaurants where diners can indulge in dumplings, Peking duck, kung pao chicken, and sweet and sour pork. Here are some of our absolute favourite Chinese restaurants set in and around the City of London. Mei Ume offers both traditional Chinese and Japanese dishes with a modern twist. The restaurant menu includes an impressive selection of sushi, sashimi, and Chinese main course dishes. Head chef Tong Truong and his team constantly develop and evolve their unique dishes in the restaurant’s innovative environment, meaning diners are constantly surprised each time they return. 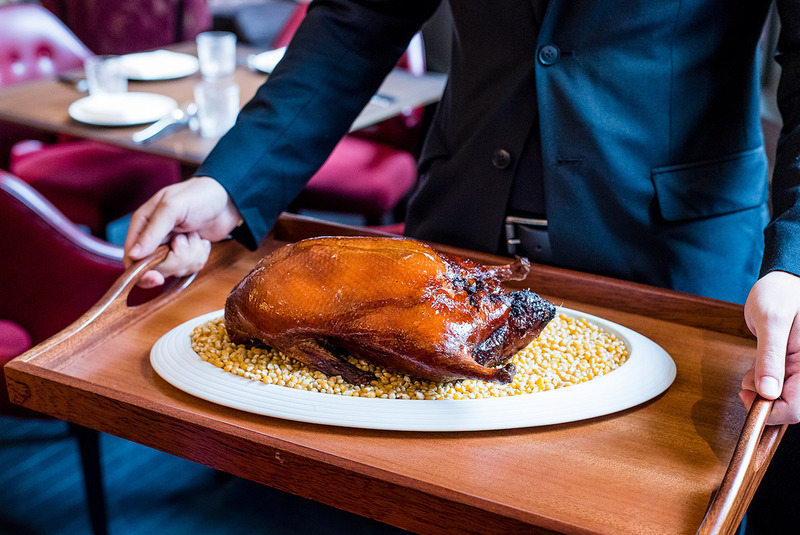 If you’re wanting to impress your guests, then you have got to order the whole Peking duck, which is served first with pancakes, leeks and cucumber, followed by a crispy duck salad with cherry tomatoes and tonkatsu dressing. These guys focus on creating Sichuan cuisine that packs a punch. This kind of Chinese food is known for being incredibly spicy and full of strong flavours – and the chefs here don’t hold back. We recommend ordering a few beers to deal with the chilli kick. As its name suggests, the restaurant has a real homey feel. The food is of a super high standard, but there is little pomp when it comes to appearance. My Old Place is not for Instagrammers but instead die-hard Sichuan-style food lovers. Fresh from winning the coveted National Dim Sum of the Year prize at the Chinese Restaurant and Takeaway Awards, Duddell’s is one of the best places to go for a full-on feast. But it’s not just known for its handcrafted dim sum and Asian-inspired cocktails. 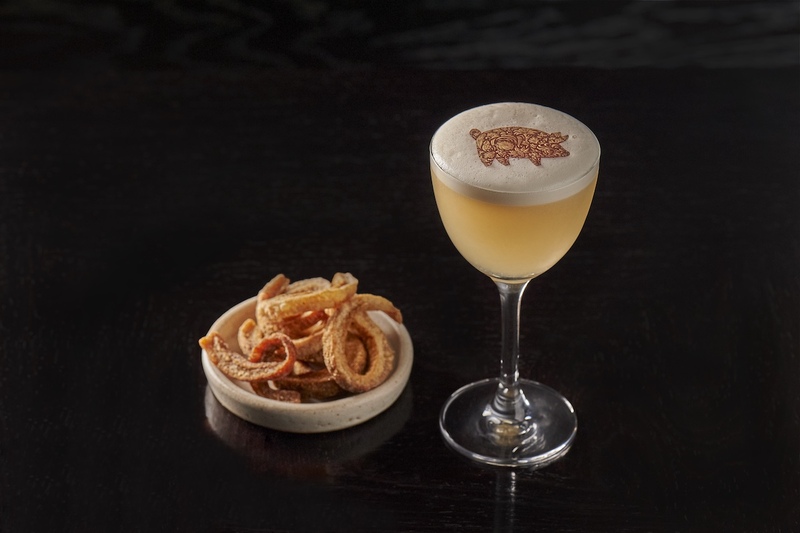 As with its Hong Kong counterpart, Duddell’s London has a strong focus on its art programme and is a destination for both foodies and art lovers alike. This honest and unassuming restaurant by Old Street is a hidden gem for spectacular Chinese eating. A lot of the menu is badly translated into English while the specials, scribbled on to the blackboard, are almost impossible to read. Nonetheless, forge ahead and ask the staff for some more details. Among the highly seasoned Sichuan dishes lies the grilled fish special which comes soaked in a rich sauce and covered in all kinds of baked vegetables. Share it with a friend, lapping up the leftover spicy sauce for good measure. Embrace the fact that things are going to get a little messy. This is just about as luxurious as dining out gets. Firstly, you’ve got the incredible views and polished interiors which will make anyone’s jaw drop. Then your hosts source only the best produce to create dishes which look like pieces of artwork and taste like you’ve gone to heaven. It’s inventive and honest. They even have a special Chinese New Year menu on 4 February for those wanting to celebrate in style. But, like you’d expect for any restaurant in the Shard, an evening at Hutong comes with a hefty price tag. Splash the cash for a night of pure decadence. Set within the City’s newest foodie destination, the Bloomberg Arcade, Kym’s is all about modern Chinese dining that isn’t too fussy. The menu is designed for sharing and is heavy on the roasted meat dishes paired with all manner of delicious dipping sauces. Everyone is guaranteed to leave Kym’s on a high note thanks to Andrew Wong’s focus not only on food, but cocktails, interiors, and the overall dining experience. The Yauatcha team are all known for serving up high-quality modern Chinese food for surprisingly affordable prices. 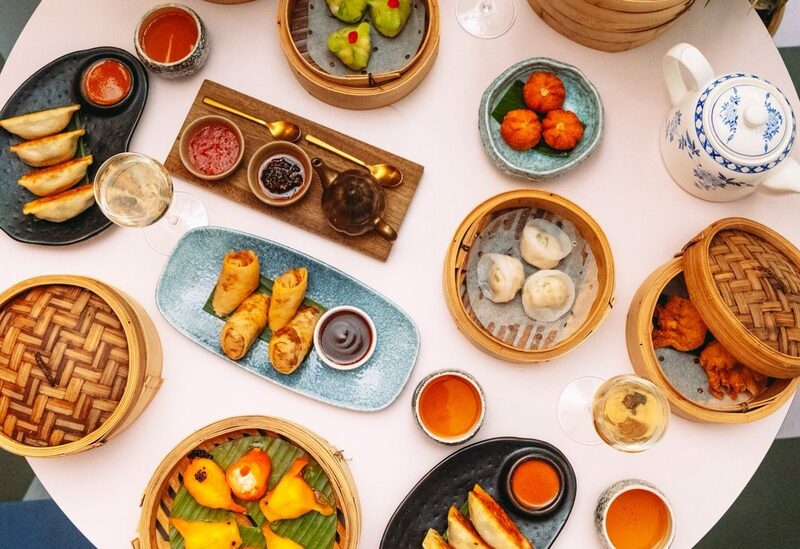 We are completely obsessed with their weekend yum cha menu where you get six different dim sum dishes for £29 per person and can indulge in an entire flight of Asian-inspired Bloody Mary cocktails for a little extra. But that’s not all that these guys are about. You have to check out their small patisserie store for desserts which have been carefully sculpted each and every morning. And, for winter, they’ve even got their very own whisky den set up in Broadgate Circle.